In a world where you can have anything you want in any colour it is no surprise that the guitar manufacturers are producing some way out finishes for their guitars – both electric and acoustic. Perhaps it is just us old farts who have an issue with girly colours on our axes, having grown up with sunburst, cherry, black and white guitars and not much else unless you add in TV Yellow and Pelham Blue – hardly cutting edge nowadays. And it’s not just sparkly colours (check out Bedell Guitars on that one) that are coming through as you can now get lots of lovely maple caps in way out finishes; some of these are admittedly beautiful – Gibson Fire Tiger and Sienna Burst for example – but I am not so sure about the purples, blacks, blues, greens and yellows that some of them do. Not to mention the bowling ball ‘swirl’ finishes released by Fender a couple of years ago. And don’t get me started on fancy graphics and custom paint jobs – nearly as bad as a distressed finish! Okay so a guitar has to be personal to each player and – I guess this is an age thing – relate to you and your peers as a guitarist. Are the younger generation into vintage sunburst anymore? A quick look at the metal guitar offerings shows that many are in ‘dark’ finishes whilst the oldsters – Fender, Gibson, Gretsch for example have a range of nice blues, reds, oranges and whites. Silver burst anyone? Or how about Apple Horn Yellow (from Caparison), Trans Purple Burst (Musicman) and Pewter (Ibanez)? 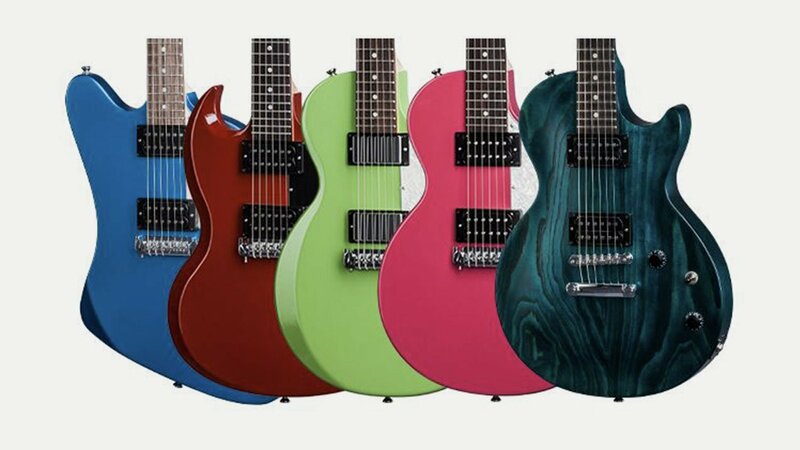 Celtic-Tatt (Godin), Aged Scotch (Knaggs), Faded Onyx (Knaggs) and Caribbean Blue Lagoon (Ibanez) are great colour names! Satin, matt and crystal finishes also seem to be popular at the moment. My favourite colours? Honey Sunburst, Surf Green and natural! Call me old fashioned…..